HAMILTON, Bermuda (Mar. 31, 2018) — With Bermuda firmly in the grasp of a high-pressure system racing was postponed today at the Bacardi Moth World Championship. Principal Race Officer David Campbell-James tried to get some racing when he sent the fleet on the water around 1400 hours when the wind on Great Sound was blowing around 7 knots. But the hope for racing diminished by 1600 hours when the wind was just 3-4 knots and the fleet was sent back to shore. HAMILTON, Bermuda (Mar. 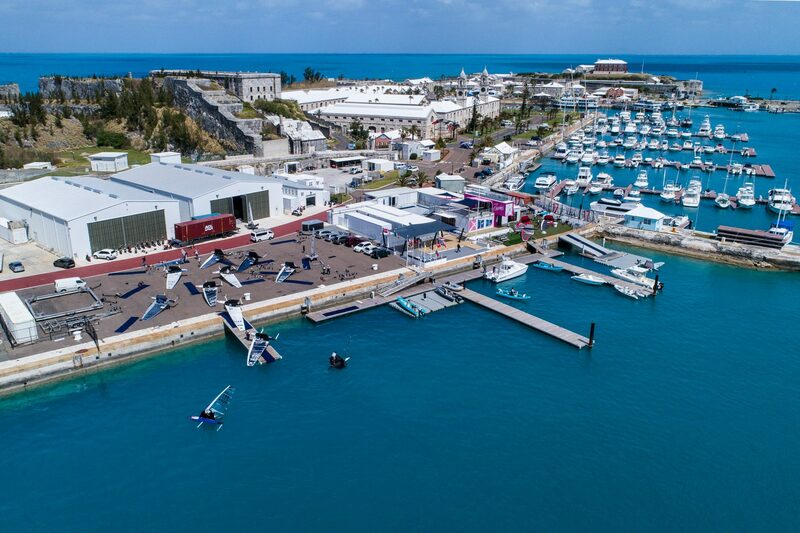 29, 2018) — Day 4 racing at the 2018 Bacardi Moth World Championship Bermuda has been postponed due to light winds. HAMILTON, Bermuda (Mar. 28, 2018) — Paul Goodison of the U.K., Francesco Bruni of Italy and Rome Kirby of the U.S. hold first, second and third, respectively, at the Bacardi Moth World Championship in Bermuda. Today’s conditions were far more manageable than yesterday’s blow out. But even though the northwesterly blew at a more manageable strength of 12-to-18 knots many competitors still suffered breakdowns that had them scrambling. Goodison’s forestay broke during tune-up which forced him to miss the first race of the day. Kirby discovered a crack in his main vertical foil just before docking out. And Iain Jensen of Australia was forced to retire from Race 6, the fourth of the day, when his mainsheet broke. “The mainsheet broke just below the splice,” said Jensen, who finished 1-2-1 in the first three races of the day. “The worst part is that I now have two discards in my scoreline, both due to rigging failures.” Jensen holds 10th overall with 54 points. HAMILTON, Bermuda (Mar. 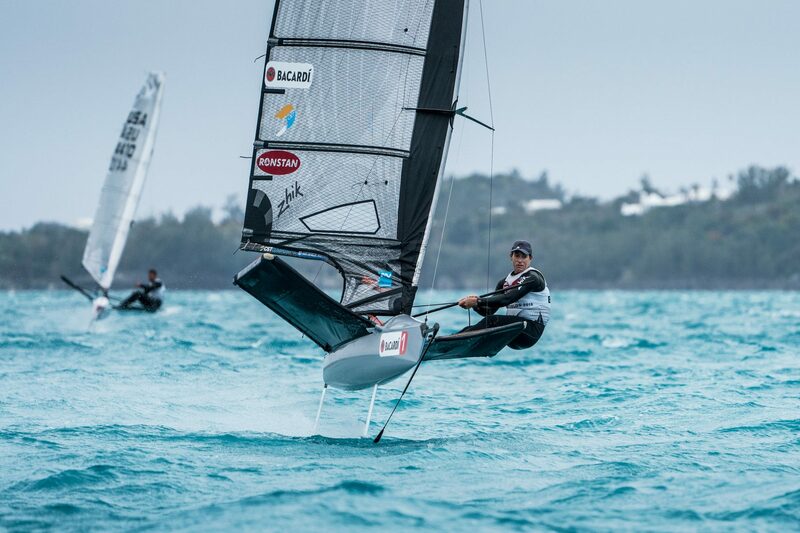 27, 2018) — Paul Goodison of the U.K. took the early lead at the Bacardi Moth World Championship in Bermuda after winning the first two races on Great Sound. 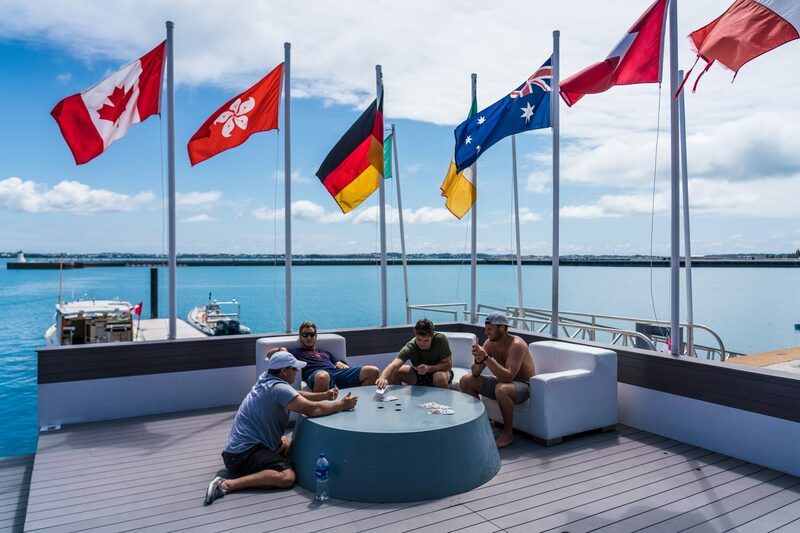 Hosted by the Royal Bermuda yacht Club, the world championship got underway a day late after yesterday was blown out. Today was on the hairy edge as the wind blew steadily between 18 and 22 knots with gusts nearing 30 knots. The conditions were challenging for the sailors but left some exhilarated. HAMILTON, Bermuda (Mar. 26, 2018) — Day 1 of the Bacardi Moth World Championship in Bermuda was postponed today due to gale force winds. 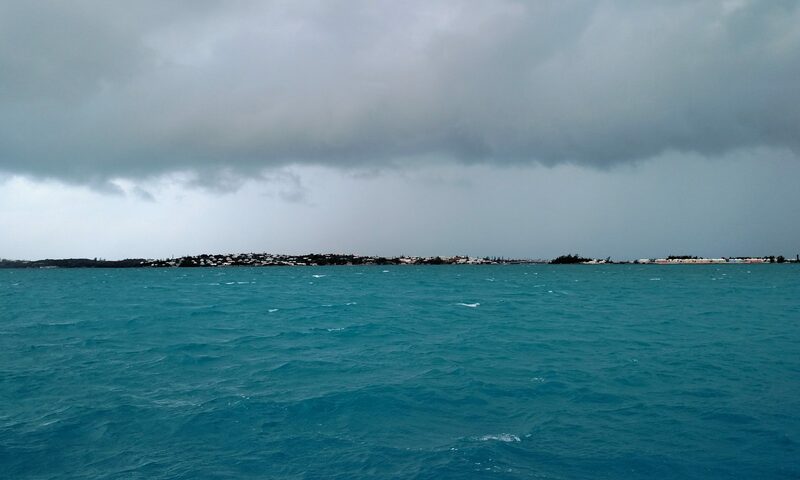 A low pressure to the southwest of the island intensified overnight and brought heavy rains in the early morning hours and northwesterly winds steadily in the mid-20s with gusts of 40 knots. HAMILTON, Bermuda (Mar. 24, 2018) — Joshua Greenslade has won the Bacardi Moth Bermuda National Championship. Racing for the championship was cancelled today due to very strong winds, so Greenslade won based on yesterday’s results. 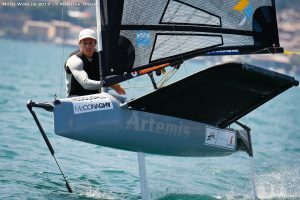 Greenslade finished 1 point ahead of James Doughty while Benn Smith, the youngest competitor in the fleet at 18 years of age, was 11 points further back. 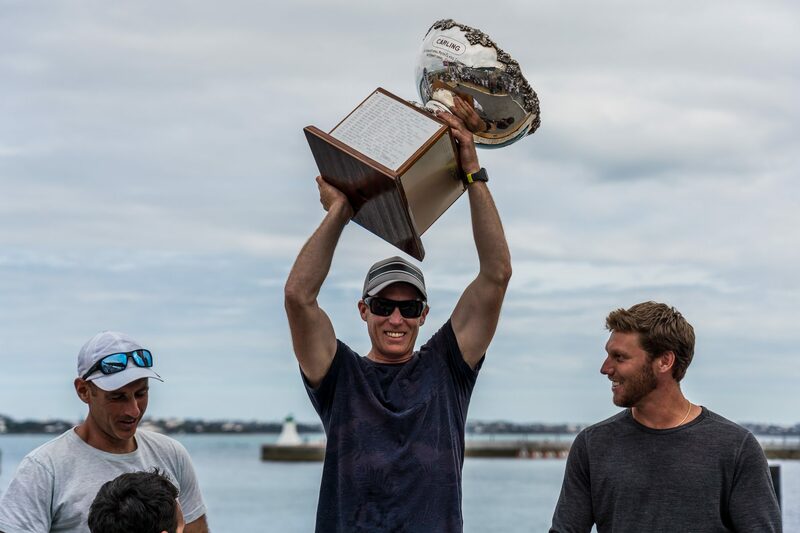 “It’s a strange win, considering we only had three races, but it was fun,” said the 27-year-old Greenslade who’s a director of the Endeavour Community Sailing Program, a legacy of the America’s Cup Endeavour program. Previously, Greenslade won national championships in the Optimist Class, 420 Class and match racing. HAMILTON, Bermuda (Mar. 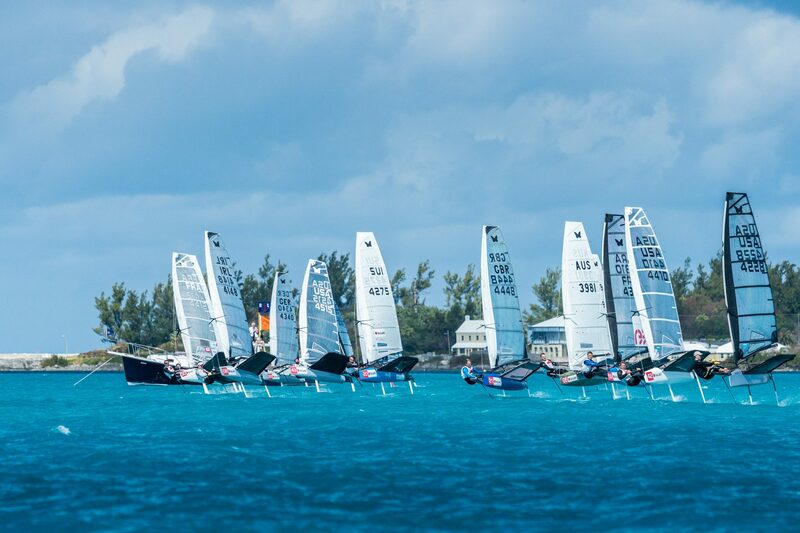 23, 2018) — Racing for the Bacardi Moth Bermuda National Championship got underway today with overseas visitors stealing the limelight from the locals. HAMILTON, Bermuda (Mar. 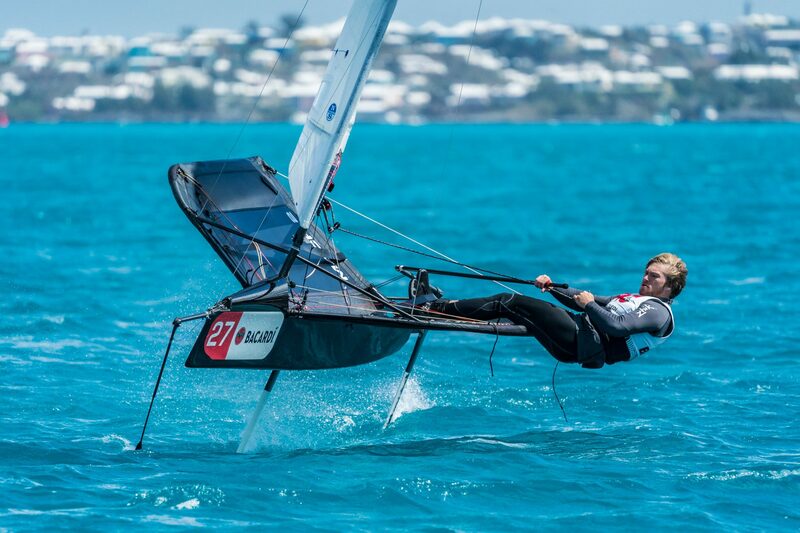 19, 2018) — An international fleet featuring the reigning two-time world champion Paul Goodison of the U.K. is set to contend the Bacardi Moth World Championship next week on Bermuda’s Great Sound. Hosted by the Royal Bermuda Yacht Club and co-organized with the International Moth Class Association, the 77th running of the Moth Worlds is scheduled Mar. 26-Apr. 1. 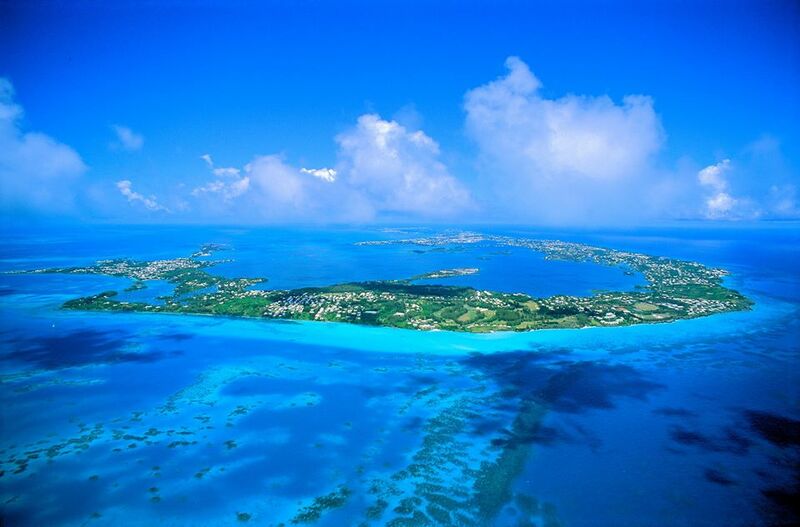 Prior to that the Bermuda Moth National Championship will be staged Mar. 23-24. 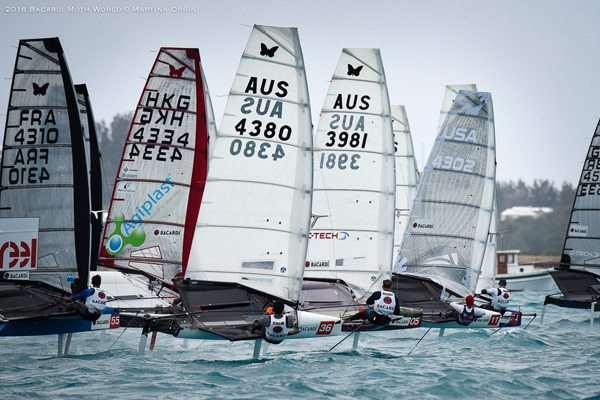 Paul Goodison racing at the 2017 Moth World Championship (Martina Orsini photo).